Once you have joined a conference as a participant, the Conferences interface contains multiple tools to help you participate in the conference. Any student who joins a conference that ws started by someone else will be considered a participant. You may also start a conference or be given the role of presenter or moderator. Learn more about using the Conferences interface as a moderator or presenter. 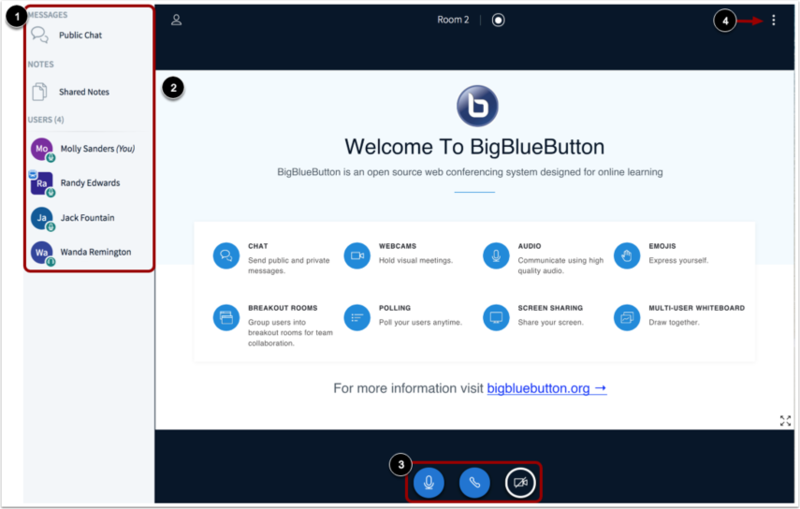 The Conferences interface is displayed using BigBlueButton's HTML5 conferencing system. This guide provides a basic overview of the Conferences interface. 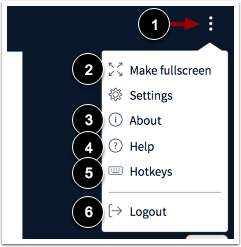 To learn more about specific features, view BigBlueButton's HTML5 user documentation. It is recommended to use Chrome or Firefox browsers to access the Conferences interface. Screen sharing is not supported on Safari browsers. From the User Menu, you can view all the users in the conference . 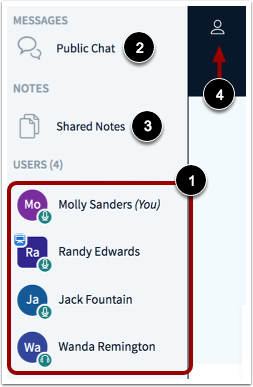 You can also chat with conference participants and contribute to shared notes. To open the conference chat, click the Public Chat link . To open the Shared Notes, click the Shared Notes link . The User Menu is open by default. To close the User Menu, click the User Menu icon . The Presentation Window displays the presentation that has been uploaded by the moderator or presenter . If the conference is being recorded, the recording time will display at the top of the screen . The Presentation Window also includes several tools that control how you can participate in the conference. To mute or unmute your microphone, click the Microphone button . To leave or join the conference audio, click the Audio button . To enable your webcam, click the Webcam button . 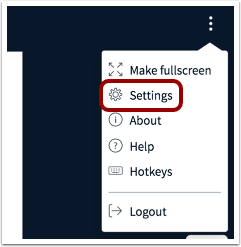 If webcams are enabled, you can hide the presentation window and display only webcams by clicking the Hide icon . 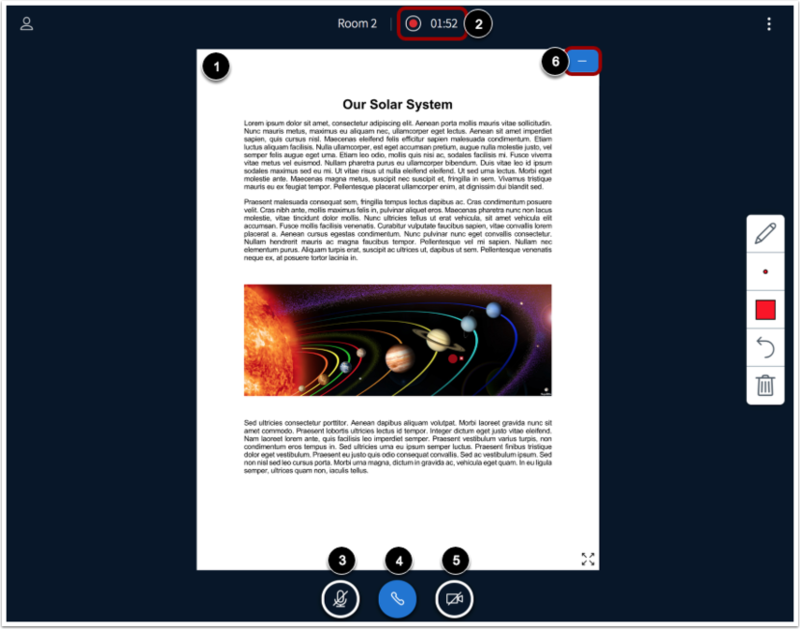 If the moderator allows, participants can use tools to annotate the presentation window. To use a pencil to draw in the presentation window, click the Pencil icon . To view all annotation tools, click and the hold the Pencil icon. 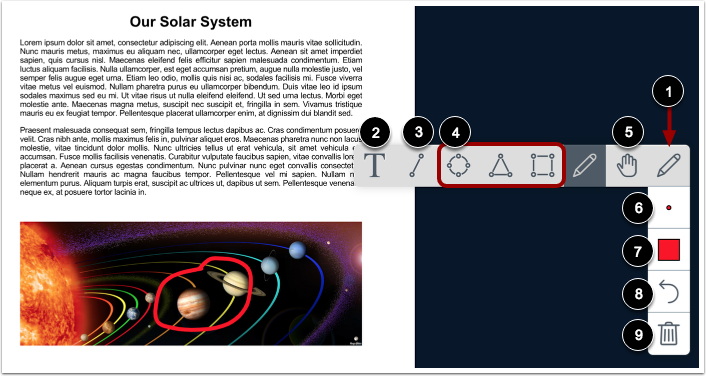 In addition to the pencil tool, you can also create text annotations , line annotations , or shape annotations . To pan a document that has been zoomed in, click the Pan icon . To adjust the thickness of an annotation, click the Thickness icon . To adjust the color of the annotation, click the Color icon . To undo the most recent annotation, click the Undo icon . To delete all annotations that you have created, click the Delete icon . Note: If you cannot view the annotation tools, they are not enabled for participants in your conference. To open the Options menu, click the Options icon . To view the conference in fullscreen mode, click the Make fullscreen option . To view information about the interface, click the About option . To view help tutorials, click the Help option . To view hotkeys, click the Hotkeys option . To logout of the conference, click the Logout option . To open the Settings menu, click the Settings link. To manage applications settings, click the Application link . To enable or disable animations that display when a user is speaking, click the Animations button . 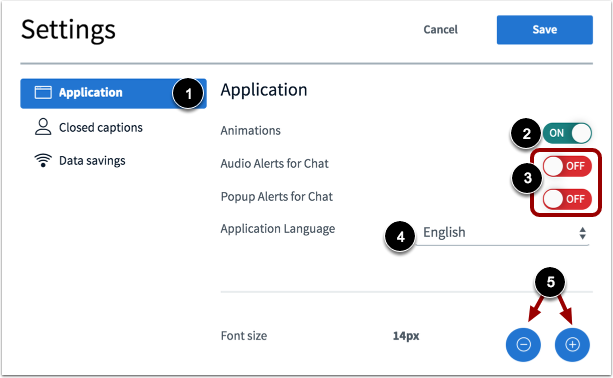 To enable or disable chat alerts, click the Audio Alerts for Chat or Popup Alerts for Chat buttons . To select a language for the interface, click the Application Language drop-down menu  and select the language. To adjust the font size, click the Decrease or Increase buttons . Note: Chat alerts only function within the same browser in which the Conferences interface is open. To manage data saving settings, click the Data savings link . To enable or disable webcams, click the Enable webcams button . To enable or disable desktop sharing, click the Enable desktop sharing button . Previous Topic:How do I join a conference in a course as a student? Next Topic:How do I use Conversations as a student? Table of Contents > Conferences > How do I use the Conferences interface as a participant? Re: Are students able to be seen when communicating in a conference with a teacher?